Dreamless was recorded at Sharkbite Studios with producer Zack Ohren (ANIMOSITY, SUFFOCATION, ALL SHALL PERISH, DECREPIT BIRTH), and was mixed and mastered by Mark Lewis (DEVILDRIVER, CANNIBAL CORPSE, WHITECHAPEL, BLACK DAHLIA MURDER, CARNIFEX) in Orlando, FL at Audiohammer. Cover art was created by Peter Mohrbacher. 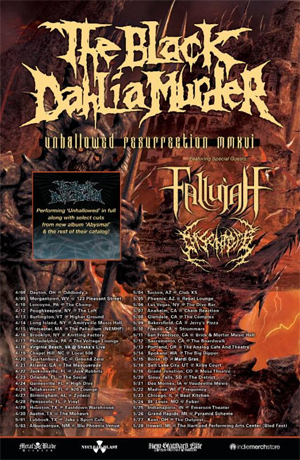 FALLUJAH’s commitment to crafting forward thinking music, has helped them build their own die-hard fan-base from the ground-up through several releases; 2009’s Leper Colony EP, 2011’s The Harvest Wombs LP, Nomadic EP in 2013, and most recently The Flesh Prevails. The Flesh Prevails was mixed, mastered and engineered by Zach Ohren at Sharkbite Studios in Oakland, CA over the course of a few months. It features guest appearances from Christian Muenzner (SPAWN OF POSSESSION, ex-OBSCURA, ex-NECROPHAGIST) and the voice of Roniit Alkayam. 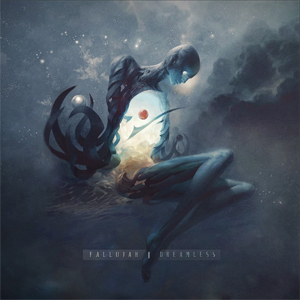 The cover artwork was a collaborative effort between Poland's Tomasz Alen Kopera and the band's vocalist, Alex Hofmann.